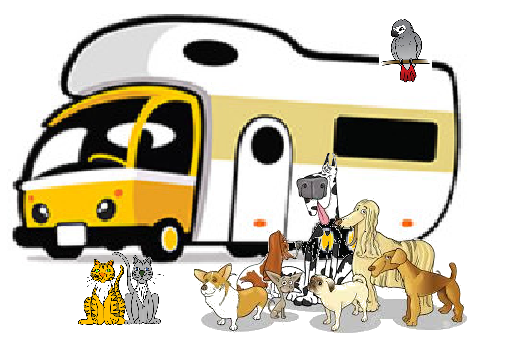 There use to be an RV park listed in this vicinity called Bosque Birdwatchers RV Park. It appears that one is no longer here but this new one has opened recently and serves the same clientele. This is just on the edge of the Bosque Del Apache National Wildlife Refuge. The very personable owners told me that many bird watchers and photographers stay with them. And they have a wonderful display of local art and photography in their little store. There are only 8 full hook up sites at $25 a night but the owners are in the process of landscaping and possibly adding more. However, part of the charm of this little RV Park is the small size and the feeling that you are actually visiting friends rather than anonymously parked at a resort. The facilities include a small restroom building and a store on site. In addition to art and gift items that can be purchased, the owners have also added a table of free items that have been donated. These include camping supplies and cooking supplies. There is no dog park but the owner said my dogs could run off leash in a gated field just behind the RV sites. Needless to say, the dogs had a great time. My cat enjoyed the local bird life though the window. Even though it was past migratory bird season, there were still meadowlarks and other species in the nearby empty fields. They get huge flocks of sandhill cranes and other traveling birds during the winter months here. I stayed at Chupadera Mountain View RV Park on my way to Roswell, New Mexico. Even though it’s off the beaten path by a few miles, I’m really glad we found this place. The owners tell me that they have people that come from as far away as Minnesota that come and stay for a month at a time. If you’re looking for peace and quiet in a farm setting, this would be the park for you.